Does one rain really matter? Consider the case of the photo point below. 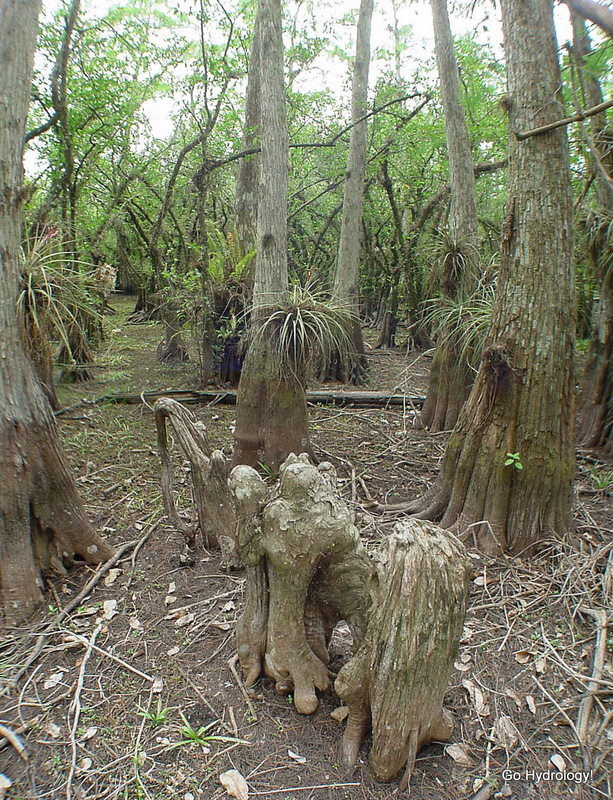 In the first photo you can see the cypress knee is dry. But can you see in the background that the pond apple forest is dry, too? Now compare that to what happened after the storm. 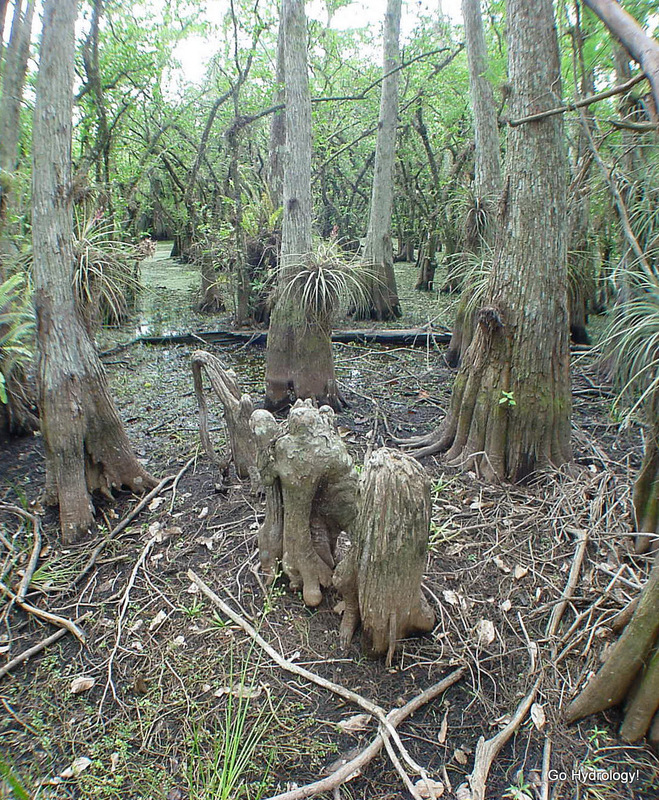 The cypress knee is still dry, yes, but can you see now how it stands at the water's edge? The pond apple in the background is flooded with a few inches of water. Rainfall has a way of lingering in the swamp! In the time since I photographed these two photos, we've been deluged by a second storm system ... this one actually bigger near Raccoon Point where the photo was taken. I'll have to go up there this week or next to photograph it again since, presumably, the water is now up to and rising up the knees. All those plants are surely reveling in the water. It's nice to get some good rains.